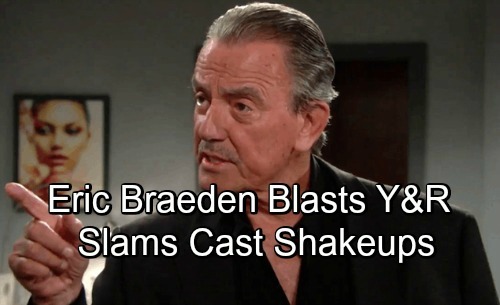 The Young and the Restless (Y&R) spoilers reveal that Eric Braeden’s (Victor) got some strong opinions on the CBS soap’s latest direction. The show’s been going through some major cast shakeups, so Braeden finally decided to chime in. He’s not definitely not happy about all the shifts happening behind the scenes. This isn’t the first time Braeden’s acknowledged the damage at Y&R. Many fans have been complaining on social media, which prompted Braeden to back them up. He’s been interacting with viewers and retweeting comments of frustration. That goes for statements regarding silly storylines and cast members who should’ve been allowed to stick around. Braeden later made a statement of his own. He tweeted, “I normally don’t express my opinions reg the casting on Y&R! That’s the privilege of those who produce the show! 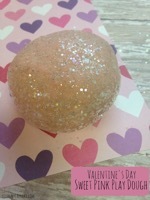 However, this is a time when I have to make an exception!” Braeden seems to feel like enough is enough. He wanted to let Young and the Restless watchers know where he stood on the matter. The actor brought up Y&R’s decision to cut or reduce screen time for other cast members, too. He mentioned Greg Rikaart (Kevin) and Christian LeBlanc (Michael) by name. Braeden also included Eileen Davidson (Ashley), who made the decision to leave. Any departures right now make it even more important to keep other crucial veteran cast members. Braeden will finish off his month-long vacation in Germany and return to his role in Genoa City. It sounds like he’s hoping for positive updates when he gets back! The Young and the Restless spoilers say the CBS soap will continue to face pressure, so stay tuned. What do you think about Braeden’s recent tweets? Do you agree with his point of view? We’ll keep you posted as other news comes in. Stick with Y&R and don’t forget to check CDL often for the latest Young and the Restless spoilers, updates and news. My plea to management: we have lost some all time fan favorites! D DAVIDSON has been with the show for, i think, 39 years, and people have loved him! Same for CHRISTIAN Le BLANC, GREG RIKART, Eileen DAVIDSON ( who left on her own volition)!